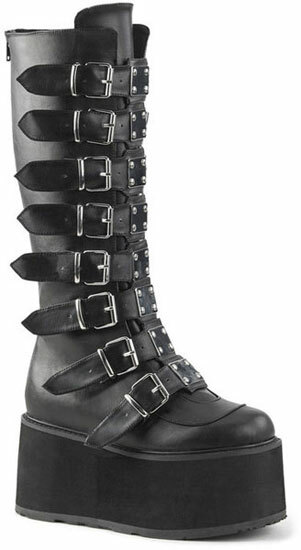 Damn, these boots are hot! 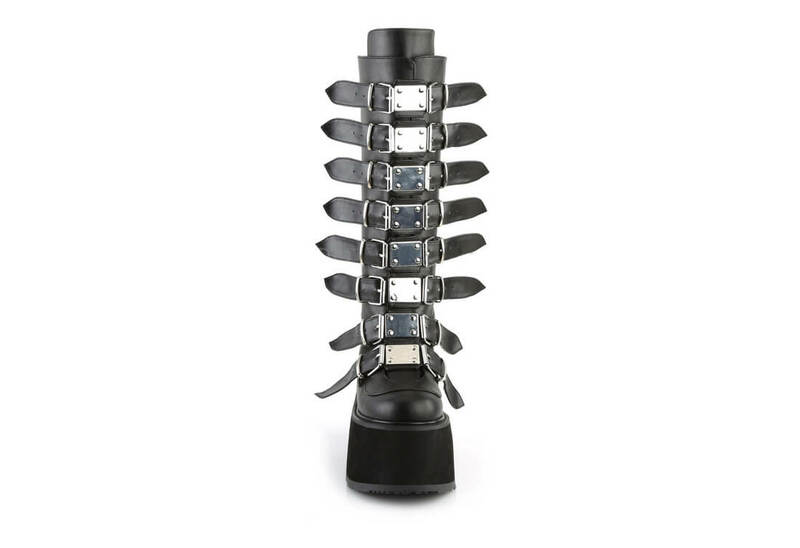 The Damned-318 knee high boots have eight roller buckle straps with riveted metal plates up the front, a 3 1/2 inch platform and a full back zipper for easy on and off. 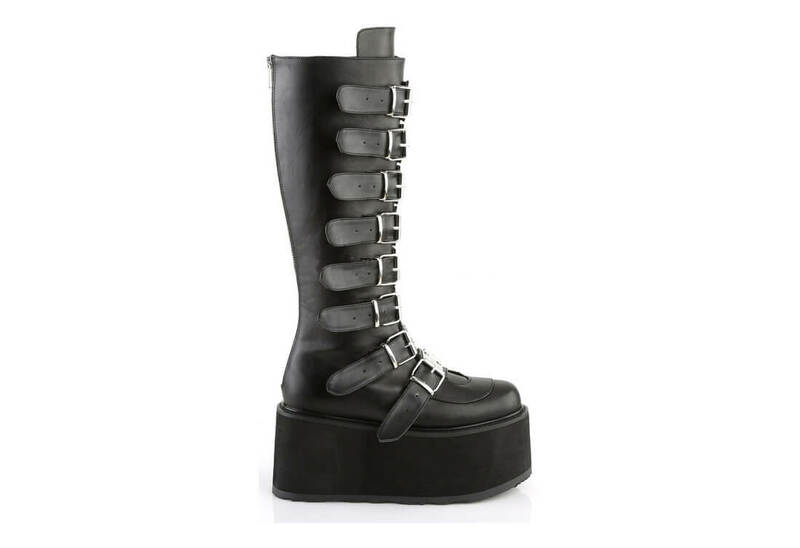 These platform boots are made from vegan leather. 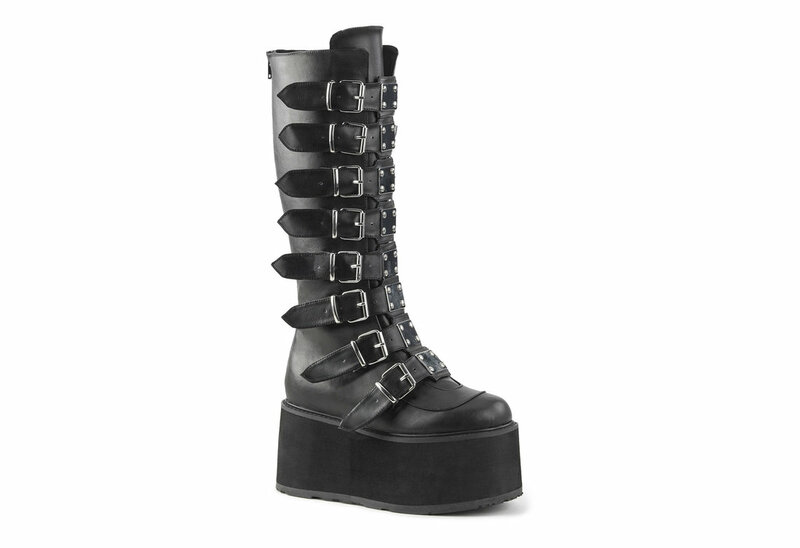 VERY PLEASED WITH ALL THE DEMONIA BOOTS IVE EVER ORDERED. CUSTOMER SERVICE WAS 100% AWESOMELY FRIENDLY & EVEN HELPED FIND A PAIR THAT WAS OUT OF STOCK ONLINE THAT I WANTED BADLY & ENDED UP WITH ONLY 1PAIR & EXACTLY MY SIZE 💚💚💚. 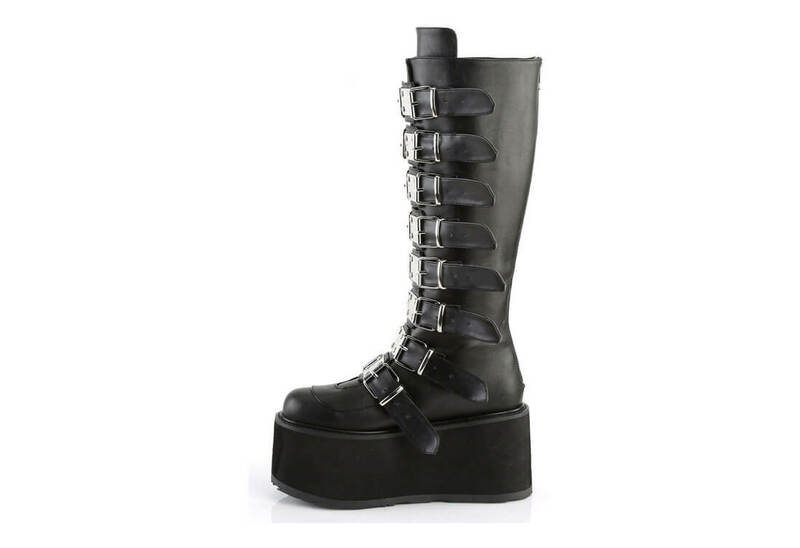 DEFINETLY WILL BE ORDERING AGAIN SOON & HAD SO MANY FRIENDS ASK WHERE I BOUGHT MY BOOTS & I HIGHLY RECCOMEND RIVITHEAD. SO VERY PLEASED 100% 5 STARS! !